Find a great PSAT tutor near you! It's simple and secure - Get real results fast. Find expert private tutors at reasonable rates today! Are you looking for a PSAT tutor? Every year, approximately 3.4 million 10th and 11th graders take the PSAT across numerous high schools. The acronym PSAT stands for Preliminary Scholastic Aptitude Test, which essentially means that it is taken just before the SAT exams. The two-hour PSAT is set to act as a precursor to the SAT, which is important in the life of every high school student. The PSAT is designed in a way that mirrors the SAT in terms of scoring, structure, and content. However, unlike the SAT, they do not factor towards your GPA or college admission application. However, it is important to note that the PSAT is not mandatory for juniors and sophomores in all high schools. It is at a school’s discretion to offer the PSAT to their students. If your child’s school does not have this as an option, you are free to look around for the schools in your area and have your child take the test there. One of the BIG reasons that many consider taking this test or having their children take it is because only the scores from the PSAT are factored into the National Merit Scholarship Competition. So if your child might qualify for that, this test is a must! As much as the PSAT does not factor into your child’s GPA, it is a prerequisite for consideration in the National Merit Scholarship Competition. The cutoff marks vary from state to state. The prestigious scholarship competition starts by selecting the commended scholars and semi-finalists. The semi-finalists are required to feature in the top 1% margin of students in their particular state. On the other hand, the commended scholars are required to score between the top 1% and 4% of students in their region. 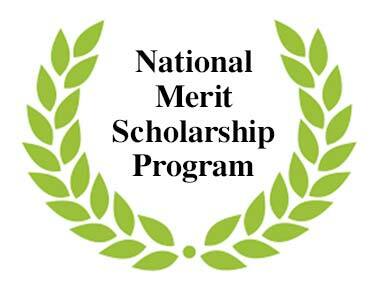 On average, the National Merit Scholarship Competition has an estimated 16,000 finalists from the list of semifinalists. They aim to award up to 8200 scholarships every year. The winners each get a $2500 scholarship and the prestigious distinction of being a National Merit Scholar. With the importance of the PSAT for not only the National Merit Scholarship but also as prep for the upcoming SATs or ACT exams, it’s best to spend some time getting adequately prepared for it. Preparation can be extensive, and without proper guidance, your child might be overwhelmed and end up more confused and frustrated. While many high schools offer assistance with PSAT preparation, numerous factors need to be considered to ensure that your child is receiving adequate preparation. 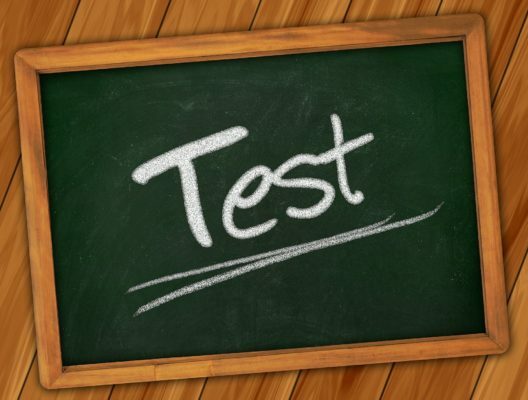 For example, is your child or are you getting what you need from your school to prepare for this test? Not everyone has the same needs or learns the same way and making sure that you get what you need is critical. Is the right amount of time being spent preparing for the test and is the speed with which the material is being covered sufficient? Students learn at different rates and some require more time than others. A tutor can become a valuable asset for your child during this time. This is where exploring options such as PSAT tutoring online to locate experienced PSAT tutors who are accessible via the Internet at hours that work for you or ones that area available to come to your preferred location. There are also PSAT prep classes near you might be what’s needed especially if there’s only a few weeks left before you take the exam. PSAT Tutoring – How Will a Tutor Help Your Child to Prepare? PSAT private tutoring sessions are becoming the preferred choice for a large number of parents owing to their flexibility and their effectiveness as well. Your child is able to get undivided attention from the tutor and is even given practice tests that closely resemble the actual SAT. Just like the SAT, the PSAT is made up of a math, grammar, and verbal section. Your child will be required to answer math problems that cover geometry questions, trigonometry as well as algebra. Solid PSAT math tutoring is highly integral in preparing your child to tackle these questions. They will also come across passage-oriented questions that will sometimes have charts, graphs, and tables. The scoring rate for each subject is on a 20 to 80 scale. So, what are the benefits of taking your child through a PSAT prep class online or in person with a tutor? The tutor will cover any topics that your child didn’t grasp in class. It is difficult for an instructor to follow up with each student to ensure that what is taught is perfectly understood. Thus, the tutor will assume the role of the instructor in a more relaxed environment and cover every question that your child may have. The tutor will solely concentrate on the questions that will be featured on the PSAT. The plan that a tutor can offer is optimized for PSAT prep thus your child will get the most out of that experience. Your child will receive tips and tricks for tackling the PSAT questions as well as how to make the most out of the two-hour testing window. The tutor will work at your child’s pace to cover every inch of the PSAT prep course to ensure that your child is mentally and generally prepared for the test. How Do You Find A Good PSAT Tutor? Presently, tutors can be freelancing or can also be part of a company. No matter how you choose to find a one, the individual tutor that you select for your child needs to have skills and qualifications as well as a positive reputation and reviews in test taking, particularly for this exam. You can easily check the tutor’s previous work and reviews to that effect. Make sure your tutor has complete knowledge of the subjects that are featured on the PSAT. The sessions have to be relevant so that your child or you can get the most value out of the sessions. See what topics and subjects the student has tutored in before. You don’t want to be their first student in this subject area (usually). Ask the tutor questions before hiring! See how they respond and if they can explain in a way that works for you or your child. Also, verify that the tutor is going to be available up as long as you will need one. It is very distracting to have to switch between tutors during the PSAT prep period. What will PSAT tutoring cost? There is a misconception that the it is incredibly expensive. Frequently clients are surprised at how affordable quality tutoring can be. And if you choose an online tutor, it might be even less expensive since tutors don’t have to transportation time or costs. Preparing for the PSAT is a big stage in your child’s life. See that you or your child fully comprehend the importance of the PSAT and how it can benefit you and make sure to adequately prepare for it. This will not only prepare your child for the SAT, it will also give them an opportunity to get an idea of what the future school years hold for them. Best of luck on the PSAT test this year!